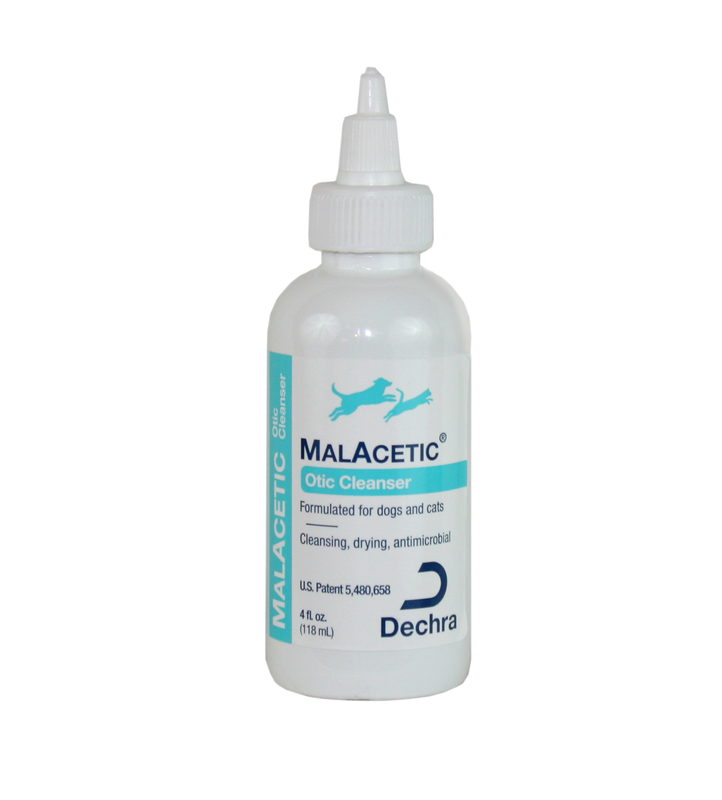 Dechra Malacetic Otic is an all-natural, hypoallergenic, sensitive solution designed to clean ears and dry waxy buildup. 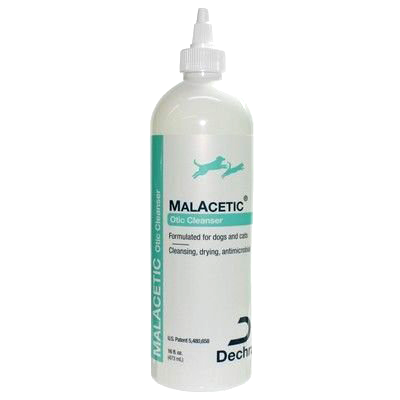 This solution is a quick and effective cleanser, dewaxer, degreaser and deodorizer. 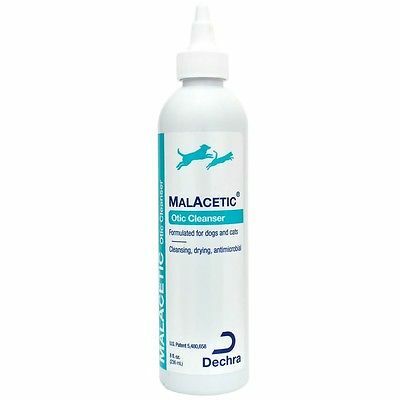 Malacetic Otic contains no artificial cleansing or dewaxing agents, and no alcohol, dyes or perfumes. The pH balanced cleanser is effective against yeast and fungus and has a pleasant peach fragrance.